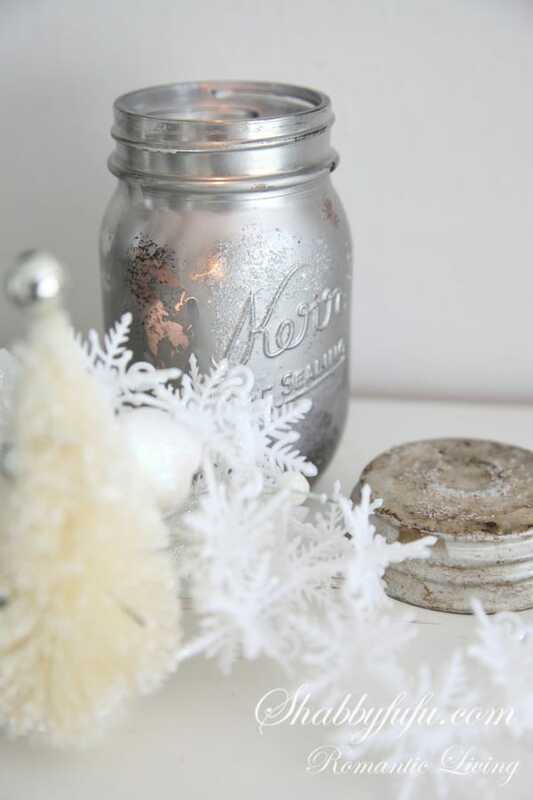 Mercury glass mason jar diy and how to make them into functional mercury glass inspired candle holders for Christmas. Is it really November? 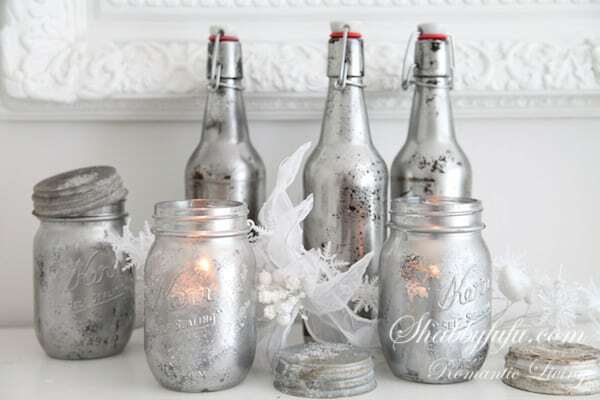 Well then, for those of us in design and decor it’s once again time to get ready for the festive holiday season! 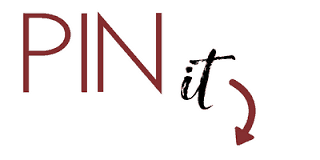 Since I style and shoot for a couple of different magazines freelance I actually have done that several times already the last couple of months, and thought I would give you a head start with a popular blog post that I did from last year…revised. 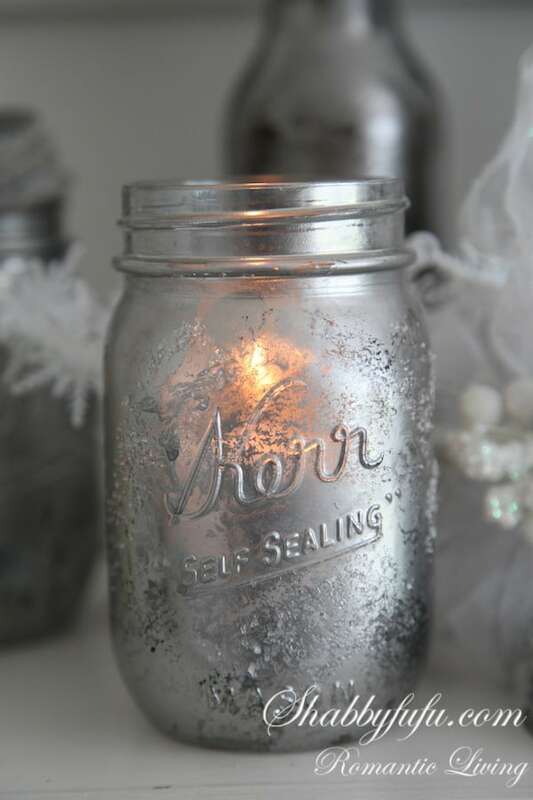 We all love candles, and displaying them in a Mason jar just makes them shimmer and shine all the more. 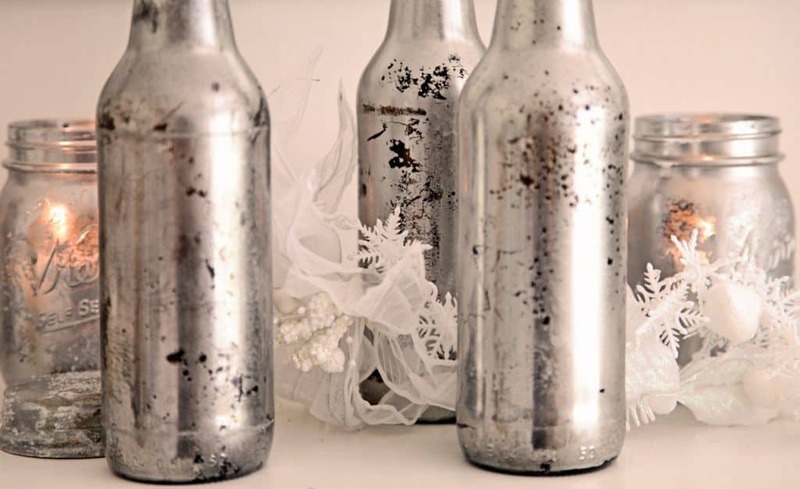 Add a bit of aged silvering and you have something really special and inexpensive to put up on the mantel…or make a few and display on a sideboard or create a centerpiece on your dining table. I’ve done this technique for several years now, so I’m using the instructions and some photos from yet another previous post that I shared on turning windows into mirrors. It’s all the same, so no worries. 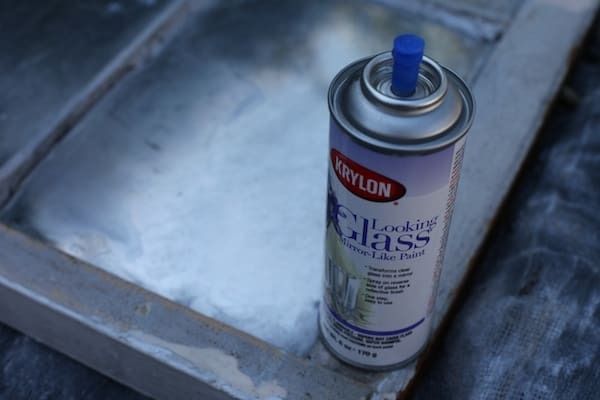 Apply the Krylon Looking Glass Paint in four to five even coats of spray to your glass piece. For the bottles that I have shown I did the process on the outside…as working inside the bottles would have been impossible. You will want to work in a well ventilated area or outdoors if you can…it’s stinky and messy. Allow to dry just for a minute or so in between thin coats of spray…the spray dries very quickly! 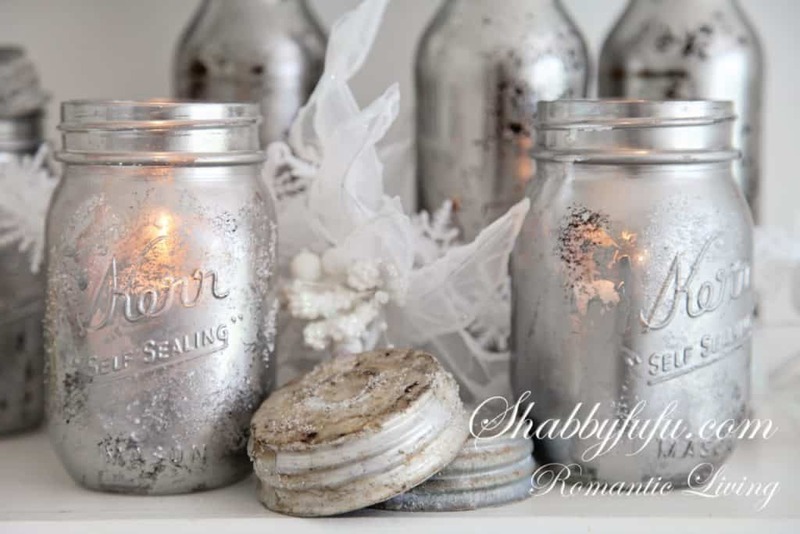 With your sponge rub off areas of the paint where you want the piece of glass to look distressed. Since these are jars you will be doing that on the outside of the jar where the painting was done. 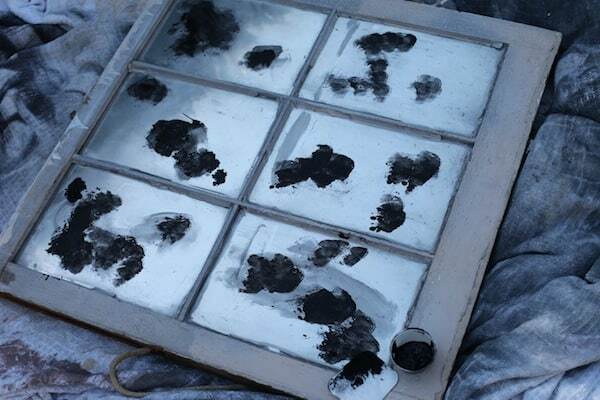 Dab cotton puff into black acrylic craft paint and start sponging on the areas where paint was removed. I have also used gold and silver craft paint in the past to achieve a more mottled look of colors behind the glass…so this is an option if you want to try. Use a spray mister with some white vinegar or diluted white vinegar with water and spray on the glass paint while still not completely dry. This will produce little droplets and I like that look. Optional but recommended: Allow 24 hours to dry and then spray with a clear sealer to protect your piece. You can also use with battery operated candles if safety is a concern. Beautiful idea! It looks so natural! I love it! Those are beautiful Janet!Thank you so much for sharing this technique!